Learning to ski on the slopes of the Happy Jack and Medicine Bow ski areas above the town of Laramie where she was raised, Stacey Ward Straley became a two-time All-American in alpine skiing for the Cowgirl ski team. 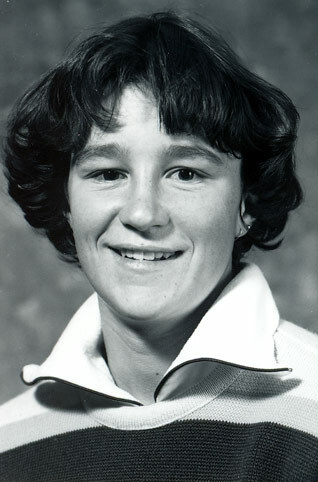 She came to the University after being named to the United States Olympic Development Team in 1978. Not only did she receive the Glenn “Red” Jacoby Athletic Scholarship, but was selected as an Admiral Land Award winner as UW’s most outstanding student-athlete. An outstanding leader, Ward Straley earned her first All-American honors as a sophomore. As a freshman she earned Rocky Mountain Intercollegiate Ski Association All-Conference honors. She won the Elbert Trophy Series Championship in 1979. Outstanding in the giant slalom, she became one of the top point scorers for the Cowgirl team in the alpine events. In 1981 she finished third in the giant slalom in the AIAW National Ski Championships as the Cowgirls won the national alpine title As a junior, she finished sixth in the giant slalom at the 1982 national championships. She earned her degree from Wyoming in accounting with a minor in international studies.